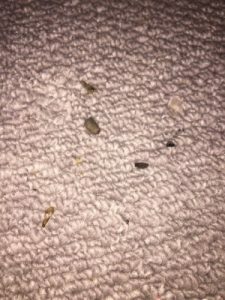 We recently heard from a reader who found some dark grey larvae in her home. 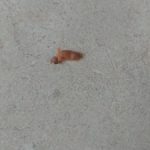 She doesn’t know exactly what they are, but she was told they could potentially be black soldier fly larvae or webbing carpet moth larvae. 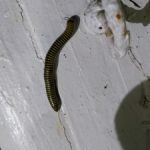 However, she doesn’t keep clothes in the cupboard where she found them, and she doesn’t know why there would be soldier fly larvae in there either. She also hasn’t noticed any damage on her clothes or carpeting, so she is skeptical of these potential identifications. She is hoping we can tell her what the mysterious creatures are and advise on how to get rid of them. While we are confident that this isn’t a black soldier fly larva, we aren’t quite sure what it is. 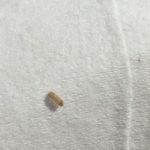 It could be a webbing clothes moth larva, but it just doesn’t look quite right, and since our reader hasn’t noticed any damage in her home, we aren’t convinced this is the correct identification. 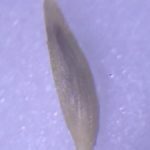 Luckily, being able to get rid of larvae doesn’t always require knowing exactly what kind of larvae they are. This is because eliminating larvae usually just comes down to cleaning! 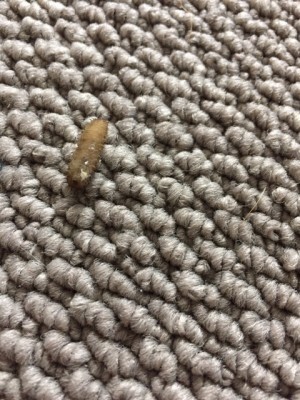 Since our reader found these larvae in a cupboard, we think that’s where she should focus her energy. She should completely empty out the cupboard and wipe down the inside to get rid of potential food sources. 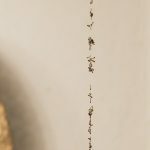 Cleaning the area around the cupboard is also a good idea, since the larvae might have traveled. 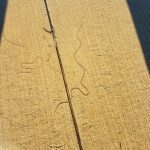 Since we don’t know exactly what these larvae are eating, she should vacuum, dust, and sweep in order to eliminate any and all potential food sources. 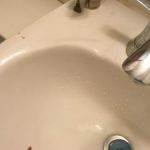 Cleaning her house every 2-4 weeks should help prevent these organisms from returning. 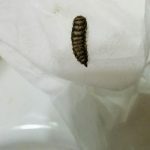 To wrap up, while we don’t know what kind of larvae our reader discovered in her cupboard, we think cleaning should help eliminate these creatures. We wish our reader the best of luck! 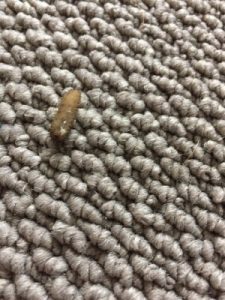 We recently heard from a reader who found some dark grey larvae in her home. She is hoping we can tell her what the mysterious creatures are and advise on how to get rid of them.